did a flight from egll to uuee yesterday. somewhere over denmark on one spot sudently 50 planes spawned a flew away in any direction? Well, pick it up, the year’s almost over. If ya weren’t testing it so heavily, it’d be out by now. The year is just starting.. These types of add-on's are harder than you think to built, you have to take in consideration so many variables and AI packages that is it unbelievable, then you find problems with the P3D SDK, report to LM, wait to be fixed or work around them, then check that all is compatible with 3rd party add-on's, etc. We are making very good progress, you should be grateful I am not releasing it now as an OPEN BETA like everyone else does these days and running away with your hard earned money, it will be released professionally after being tested by many well known flying simulation figures on AVSIM, AIG, etc. and we all feel (my Beta testers have a great deal of input about the release date) it is ready for public release. My desire is to release it and put an smile on each individual that decides to purchase AI Lights Reborn Professional, to achieve this goal I need to feel it is perfect.. and it is getting there.. Anyway you and Oliver over at Lorbi are the original OGs here at AVSIM and we all think the best of you both. A word of caution about using this file. As I was installing flightplans from this software i.e installing and deleting some flightplans that didn't get installed properly by me using the application I noticed towards the end that the application deleted my default F-22 airplane files from simobject folder at the root P3D 4.3 folder. While the application is very powerful and makes the job of installing flightplans very convenient there are some serious risk in using the program. It has access to list all simobject files that are the AI files the program installs plus all other simobject files your sim has access to. The program runs in certain conventional manner and runs under certain assumptions based on user behaviour. If there are any actions that falls outside the expected parameter, you run serious risk of getting any simobject file deleted or corrupted. I not only lost F-22 raptor, my SODE has also gotten messed up as a result many of my scenery addons have their jetways missing. Currently I am unable to retrieve the jetways. I tried re-installing some sceneries such as Flytampa Toronto (this worked) and DD New York Airport, Simbreeze OMAA, the last two sceneries that I re-installed didn't manage to retrieve my jetways back. If someone has any suggestion, it would be really helpful. At the same time this is my word of caution to those who want to use AIM. Its a great program for its purpose but it can damage your FS experience if you get unlucky. I suggest that you explain what happened (along with providing appropriate log files) on the official AIG Manager forum. The AIGM is an open beta and as such, it could be the source of your problems. Or they could be caused by some idiosyncrasy in your flightsim setup. Also that said, AIGM does not alter existing flightplans, models, liveries or airports. It only adds its own versions as needed. The beta could have corrupted a P3d4 configuration file. But a quick review of the AIGM official forum does not reveal any posts about that kind of issue. Also that said, AIGM does not alter existing flightplans, models, liveries or airports. It only adds its own versions as needed... But a quick review of the AIGM official forum does not reveal any posts about that kind of issue. BUT - it is a BETA and should indeed be treated as such. Unexpected things can and will happen. I know its beta and there will always be risk. I just think of this risk a bit high if it can interfere with p3d core folder unknowingly. I have mentioned this on their forums. Strange why they rely still on the "old" installation method instead of using the add-on.xml method which is not interferin in the P3D installation at all. They do use the add-on.xml file method. I'm surprised you didn't know that from trying the tool out. All Effects, SimObjects, Textures and Traffice Files are isolated under the AIGAIM - OCI folder (assuming you are talking about the new OCI installation method). I think what @JoeFackel is trying to say is that he is surprised this software is editing Prepard3D config files when this is normally handled automatically by P3D by putting the .XML file inside the Prepard3D 4 add-on's directory. I don't see how programmatically adding the entry to the add-ons.cfg file instead of making the entry in the appropriate folder under Prepar3D v4 Add Ons could be construed as using the 'old' method. However, if that is what @JoeFackel meant, I guess it could be seen as 'wrong way' to use the add-on.xml system. I don't use AIG as i have an heavily customized AI plane package running with UTL so no need for it. As Biloo said AIG OCI foxtrott-uniformed his P3D install i thought it must have to do with installing directly into the sim folders. and see if you have more than one entry for the OCI package. This could happen if one installs a new version of the app without uninstalling the previous version. Your F-22 is still there, but with add-ons.cfg messed up, P3d4 generates that error message that you've seen. Hopefully WJA JZA and ACA aren't too far off! I hope ACA comes soon, too. BWI is on their route and I still have a couple of empty gates left. 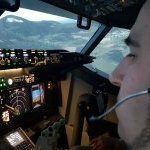 Air Canada and Westjet plans aren't super new, but they are far superior to anything else out there and it gets them into the sim. And slightly off topic but if you're looking for business GA there is no better site than https://aibizjetproject.wordpress.com/. Tons of plans, single or multi-week, and updated frequently. I've currently got about 40 of his plans with everything from Boeing Executive BBJ's to Boutique Air Pilatus PC-12's running around my sim. One last site is One Click Hangar https://oneclickhangar.com/forum/index.php. Morten does a lot of repaints for the above site and has repaints for a lot of GA aircraft, even 172's (really) and seaplanes. BTW, none of the above sites require registration for access. Also, for complete transparency, none of these are OCI ready so it's all manual install. All this is a very new for me -- a different territory. Can you do that adjustment easily or semi-automatically, using AIG still to find and build the traffic system for you? If not then surely that would be an excellent feature to be added to AIG. I would go on the Forum and suggest it, but if it is easy enough to do in any case that seems a bit daft. Can you do that adjustment easily or semi-automatically, using AIG still to find and build the traffic system for you? AI Flight Planner allows changing activity levels for either one BGL or multiple plans in bulk. For example, the MAIW Matrix utility's flightplans (a military AI version of AIGFM) automatically installs dozens of plans. But since they were ported over to P3d4 from FS9, the activity levels often make no sense when compared to real world levels. I changed all of the files at once with AIFP so that they had a suitable range. With respect to traffic density in P3D......I have my AI airliner traffic set to 100%, and everything looks normal to me. In other words, one AI plane per flightplan (just like the real world). That is exactly how I want it to be. No more, no less. EDIT: I do not use the One Click Installer from AIG. Since 99% of my flights are around the UK and Ireland, I prefer to "hand build" my AI environment. Right, thanks. That seems reasonable. But I used AIG to download and build the BGLs. Does needing to use AIFP on the plans mean I need to find and download them myself? If so, what am I using AIG for? It was to avoid the hassle of finding them, downloading them and compiling them that I welcomed AIG. Or can AIFP change the activity levels in the BGLs produced by AIG? I must admit that I've not read the manual yet, but I assumed it worked on the original flight plans before compilation into BGLs. AIFP can randomize and then recompile any bgl traffic file replacing the the original in the process. Very easy to use.